The Ridgecrest YMCA has a Youth in Government Program through Largo High School. 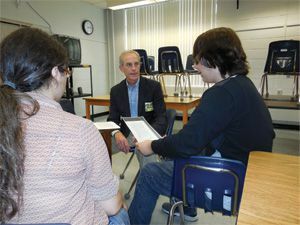 Part of their program involves teams being able to argue and debate a legal position on the interpretation of the law. For example, the students were given a situation such as a man with a felony conviction for a non-violent crime wants to obtain a gun after his probation, he is not able to however, because under Florida law he is a convicted felon. When the kids debate, they must be prepared to take either side of the issue. It’s great preparation for researching, writing and critical thinking on their feet. I have been working with the teams on how to sort out what facts in their problem are important to the issue and how to use the really important ones in supporting their argument. It’s been great fun and the kids have appreciated what we have done!